A native New Yorker, Rosanna Gamson studied composition with Hanya Holm and Bessie Schonberg and performed internationally as a member of Andrew DeGroat & Dancers, in work by Yvonne Rainer, workshop performances of Robert Wilson, and in many others’ dance projects. Gamson also studied with poets Charles Simic and Louise Glück and her poetry has been published in a number of literary magazines. Moving to Los Angeles in 1997, Gamson established Rosanna Gamson/World Wide (RGWW) bringing together actors, dancers, and singers to create a multi-­‐lingual, multimedia body of work rooted in the cultural multiplicity of Los Angeles. This core ensemble of outstanding professionals joins other artists and communities who participate with RGWW on a project-­‐ to-­‐project basis. Each work sparks a different conversation about culture and context, accesses different communities, and promotes a different area of research for the creators, which is also opened to the public through workshops and showings throughout its development. For example, Gamson’s dance theater project, Layla Means Night, was created in collaboration with traditional and contemporary Iranian and Iranian-American artists as well as young performers and premiered in 2013 at ODC Theater in San Francisco, with a cast of 30. Her prior project, Tov, was commissioned through the National Performance Network Creation Fund and was developed through a bi-national collaboration with Chorea theater association based in Lodz, Poland. 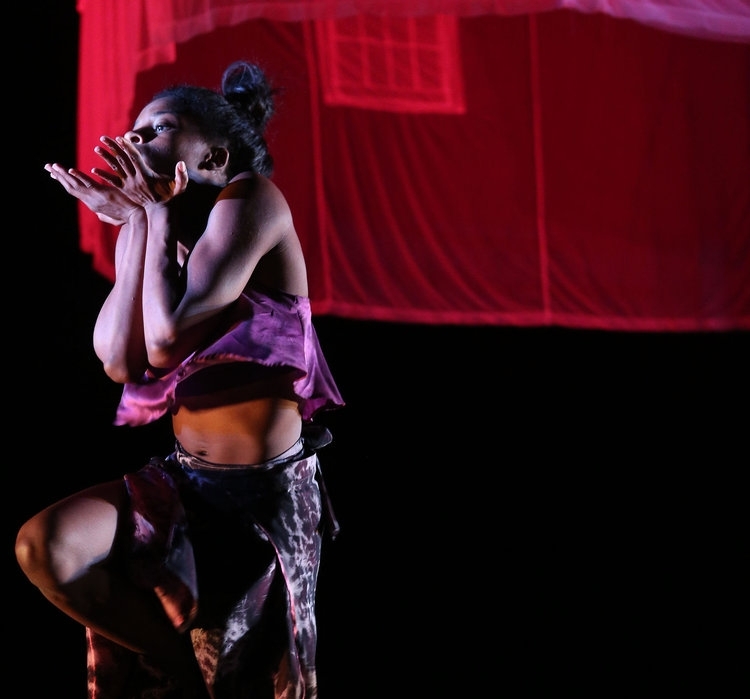 Gamson’s most recent project, Still/Restless, premiered at REDCAT in 2016 and was presented in 2017 by El Camino College. Gamson's work has been supported by local and international programs including the NEA's US-­‐Mexico Fund, Contacto Cultural, National Dance Project, and the Trust for Mutual Understanding, and has toured since 2000, presented and commissioned by venues and festivals in North America, and since 2012, in Eastern Europe. Gamson is currently on faculty at the Sharon Disney Lund School of Dance at the California Institute of the Arts (CalArts). She was a Mentor in the Southern California pilot of CHIME, and was a teaching artist for NEFA’s Regional Dance Development Initiative in the Pacific Northwest and Twin Cities sessions. She has served as dramaturge and consigliere for numerous choreographers and directors, and leads Terra Nova, an annual choreographic residency for Los Angeles artists, which will be entering its third season in 2018, supported by the Los Angeles Department of Cultural Affairs and the Los Angeles County Arts Commission.